Apply for international ROOTS & ROUTES projects 2019 until April 23rd! Music, dance, media, circus, theatre or poetry: art is your passion? Would you like to collaborate with young artists from all over Europe, network, experiment and develop yourself? Would you like to develop artistic productions on current topics together with other artists or to jointly put together a big stage show? Are you at least 16 and at most 26 years old? Then you’ve come to the right place: sign up here for the ROOTS & ROUTES Projects 2019! At our General Assemly 2019, Teya Leonard-Quarmyne was elected newly into the board of our association. Welcome! Congrats also to re-elected board members Andreas Kern, Sina Schindler, Niklas Josten and Sebastian Kim. Also, a big thank you to former board member Johannes Da-Costa who did not candidate this time, but may come back in the future. The board of RRCGN is elected every three years. The voluntary board members coordinate the association’s activities. Attention, relocation: The performance will take place at Alte Feuerwache Köln/Bühne, Melchiorstr. 3, starting punctually at 20:30! 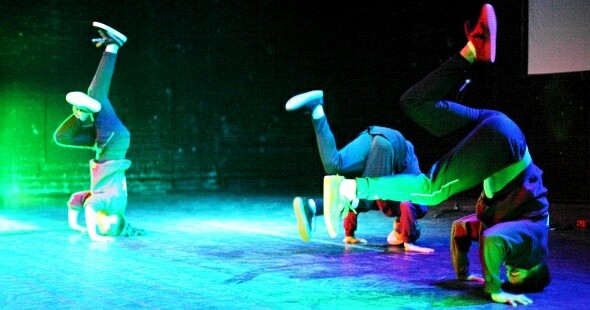 After celebrated performances in Rotterdam, Brussels, The Hague and La Rochelle, it’s finally in Cologne: “Mind Ur Step” will guest at Alte Feuerwache on April 1st. 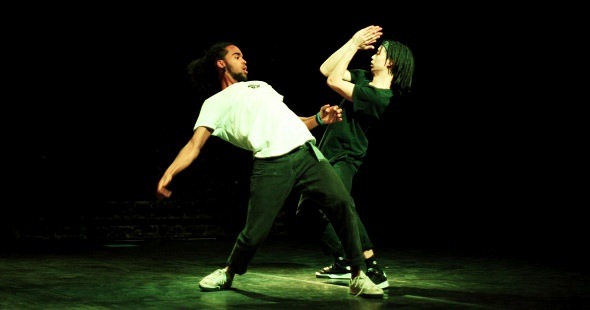 Mind Ur Step is a danced declaration of love to urban stage art, choreographed by Dutch and French urban dance greats Lloyd Marengo, Nabil Ouelhadj and Kader Attou as well as the 11 young professional dancers from DE, NL, FR and BE. An international ROOTS & ROUTES production, supported by the EU program CREATIVE EUROPE, the Ministry of Culture and Science of North Rhine-Westphalia, Kunststiftung NRW, Fonds Podiumskonsten and the City of Cologne. The city’s youth welfare committee decided today that ROOTS & ROUTES Cologne e. V. will receive regular funding as a specialist cultural educational institution. After 5 years of successful international and local cultural youth work in Cologne, RRCGN can now for the first time create a permanent half time job. Thanks to everybody who walked this way with us, or who supported us. We are happy that the work of RRCGN can stand on more solid ground now, and we are ready to implement great projects with young people and young adults from Cologne and from all over Europe with full energy! RRCGN advent calendar 2018 ends today, with a love story: (In)Exorabilis. A performance from the international exchange we hosted in November on Baltrum/Germany in the context of the “Young Arts for Queer Rights and Visibility” (#YAfQRaV) project, as presented live at Ehrenfeldstudios Cologne on November 15th, 2018. Check the full advent calendar on our Facebook and Instagram pages! "The stories were never told": videos on LGBTTIQ*-inclusiveness now online! Stories that are still too infrequently heard: At the seminar “The stories we were never told” in Sitges / Spain in summer 2017, they came to the table. The international project, where youth workers stand up for LGBTTIQ*-inclusiveness with creative means, creates spaces for personal stories and highlights the importance of countering LGBTTIQ*-discrimination. In preparation of the RRCGN project “Same Love, Same Rights – Young Arts for LGBTTIQ* Equality” (SLSR), we sent a four-person delegation to the international seminar, with RRCGN program director Janna Hadler and three colleagues from youth, cultural and media work. Together with delegates from Italy, Austria and Spain, they worked biographically on gender identities and sexual orientation. 2017 was a very busy year for ROOTS & ROUTES Cologne – so busy that we often didn’t find the time to update this website. Sorry for this! You can find more recent updates at http://www.facebook.com/RRCGN and at http://www.instagram.com/rrcgn/. 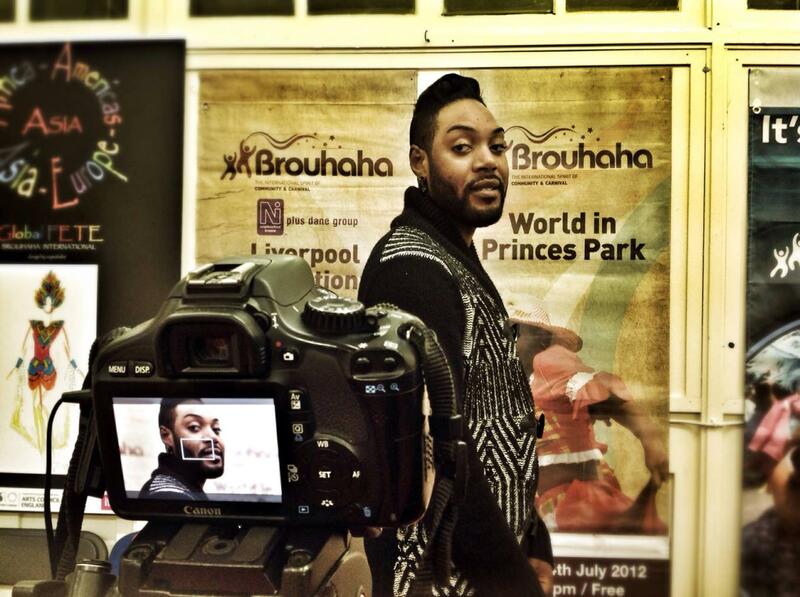 Highlights of the year included the international exchange projects “The ROOTS & ROUTES Experience 2017” and “Art4Act – Diversity Dismantling Discrimination”, as well as the ROOTS & ROUTES Peer Coach Academy 2017, the KRS-One Masterclass and the start of the 2-year Urban Dance project “Mind Ur Step”. 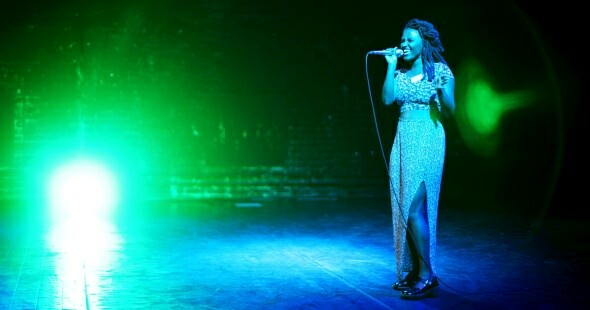 50 young artists from 10 countries jointly take artistic action against personal and societal fears and anxiety: At the premiere at Alte Feuerwache Köln on August 29th, the participants will connect dance, music, live media and spoken word to explore the question: How do fears influence our lives and societies, and what can we do about that? “The ROOTS & ROUTES Experience 2017” (RRXP17) is a ROOTS & ROUTES Cologne e. V. project in cooperation with international partners and is being funded by the EU-Programme Erasmus+, the North Rhine-Westphalian youth ministry and the City of Cologne, with kind support from Dr. Dirk Baier foundation. ROOTS & ROUTES Auditions on June 4th, 2017: Sign up now! Young talents in the areas of dance, music, media, theatre, poetry and acrobatics will get the chance to qualify for 5 international projects on Sunday, June 4th. The auditions are open to everybody at the ages of 16 to 30 years. A professional jury will make the selection and give individual feedback. The auditions will run from 08:30 to 18:30 Uhr at Coach e. V. in Köln-Ehrenfeld, Oskar-Jäger-Straße 139, at the very end of the long driveway. Detailed time information will be provided by e-mail after sign-up. 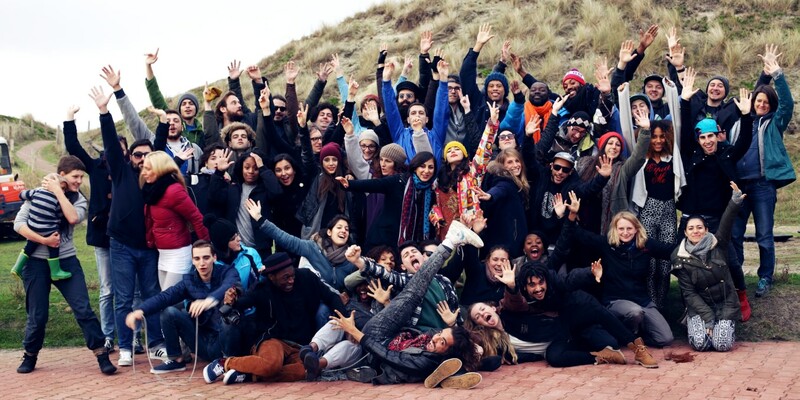 24 young artists from 7 German federal states have been trained as ROOTS & ROUTES Peer Coaches around easter. On May 22nd, they will present themselves at Bühne der Kulturen Cologne. The ROOTS & ROUTES Peer Coach Academy 2017 took place from April 14th to 25th at Landesmusikakademie NRW Heek-Nienborg. Young musicians, film makers and dancers extended their competences in the fields of self management, group leadership and artistic skills. The participants, 16 to 30 years of age, were instructed by professionals including Jimi Renfro (formerly Marla Glen Band), Sabine Lindlar (choreographer) and youtuber Gong Bao (Noobtownmonkeys). The academy phase is now followed by a practical phase, where the 24 Peer Coaches can prove themselves in workshops and courses. Schools, youth clubs, dance, music and art schools who could use young coaches are warmly invited to contact the ROOTS & ROUTES Cologne Team. On May 22nd, 2017, from 17:00 to 19:30 CET the Peer Coach classed of 2016 and 2017 will present themselves on stage at Bühne der Kulturen in Cologne Ehrenfeld; after that, finger food is served and possible future employers can meet the Peer Coaches. The “Show your Skills” presentation day is funded by DOHLE Stiftung. 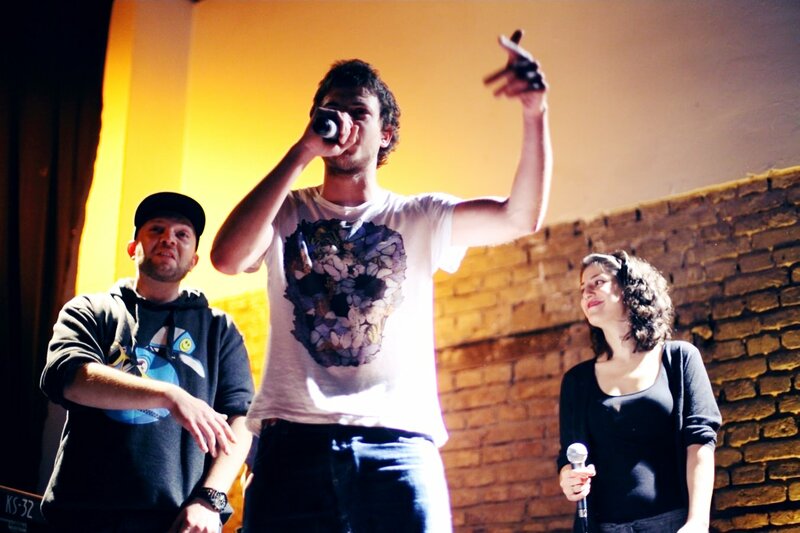 “The ROOTS & ROUTES Peer Coach Academy” is a ROOTS & ROUTES Cologne e.V. project, funded by Stiftung Deutsche Jugendmarke e. V. and von der DOHLE Stiftung. After our partners ROOTS & ROUTES Rotterdam have already hosted four sold-out KRS-One Masterclasses, finally it also happens in Cologne: A masterclass for all established and aspiring MCs and HipHop artists. The masterclass will run at Coach e. V., Oskar-Jäger-Straße 139, Köln. Directions here. Funded by DOHLE-Stiftung in the framework of the project “LevelUp!”. 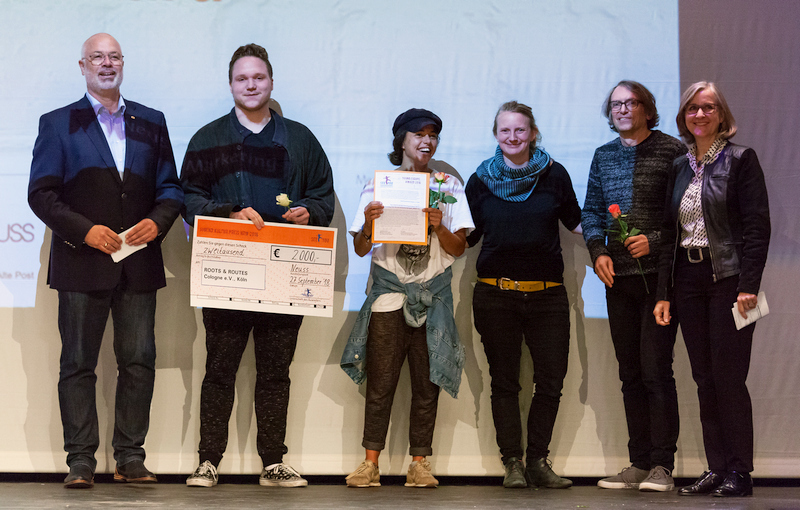 In September 2016, young artists from Germany, Italy and Lithuania will meet in Florence, making their creativity speak up against discrimination. From September 5th to 18th, our association ROOTS & ROUTES Cologne e. V. is sending seven young artists to the project “I-CARE – InterCulture Against Racism in Europe 2016”. Dance, music, acting and media art – the international group will use a diverse range of artistic languages and styles to deal with discrimination and racism. Supported by the artistic and educational team of the Italian partner Centro di Creazione e Cultura, a shared room for exchange will be created in public space. The project “I-CARE – InterCulture Against Racism in Europe” started in 2015; there, young artists from the three partner countries developed the transdisciplinary performance “Roommates” that premiered on October 19th at Bühne der Kulturen Köln. I-CARE will continue in 2017; then, young artists from Cologne and Florence will travel to Lithuania to develop another performance in Kaunas. The I-CARE project is coordinated by ROOTS & ROUTES Cologne e. V. and funded by ewoca³, a programme by IBB e.V. funded by the federal state of North Rhine-Westfalia and Mercator foundation. 46 young artists from 9 countries want to take the audience with them on their journey to a future Europe in Cologne on August 1st and 2nd: Their performance “RE:CHOICE” combines voices, bodies, movements, projections, beats and rhymes. On Monday (July 18th), our project “The ROOTS & ROUTES Experience 2016” will start. Guided by artistic director Youngung Sebastian Kim a.k.a. Jaekwon, well-known b-boy and choreographer, young musicians, dancers, media and poetry artists will create the transdisciplinary performance “RE:CHOICE”. At Landesmusikakademie NRW in Heek-Nienborg ideas from different parts of Europe will meet, artistic languages from participants from Germany, Greece, Lithuania, Lattvia, France, Italy, Turkey, the UK and the Netherlands will flow together to create a common work of art. Questions like: “What are our options? How do our choices influence ourselves and the people around us?” will ccompany the creation process. A space representing a potential of choices will be projected on stage: Could this be a future Europe? The piece will be performed on August 1st and 2nd in the theatre hall of community centre Alte Feuerwache Cologne. “The ROOTS & ROUTES Experience 2016” (RRXP16) is a ROOTS & ROUTES Cologne e. V. project in cooperation with international partners and is being funded by the EU-Programme Erasmus+ and the North Rhine-Westphalian youth ministry. RRXP16 is kindly supported by the City of Cologne and Börner Foundation. Starting in mid July, 45 young dancers, musicians and media artists from 9 countries are going to develop a joined interdisciplinary performance which will be staged on August 1st and 2nd at Alte Feuerwache, Cologne. Auditions for young artists living in Germany and interested in joining this project will take place on June 19th. Music, dance, media/visual arts, theatre and more: Young artists from 18 to 30 years of age who would love to cooperate with artists from all over Europe are invited to join the ROOTS & ROUTES Experience 2016 project. On July 18th, 2016, about 45 young people from Europe – both long term residents and newly arrived – are going to meet at Landesmusikakademie NRW Heek-Nienborg. There, they will be dealing with topics like the future Europe, racism, gender roles, war, refugees and migration. Guided by artistic director Youngung Sebastian Kim a.k.a. Jaekwon, a well-known choreographer from Salzburg, and a professional team of coaches, an interdisciplinary performance will be created, bringing together all participants into a transcultural dialogue. The piece will be performed on August 1st and August 2nd at Alte Feuerwache Cologne. Further information: www.rrcgn.de/rrxp16 and info@rrcgn.de. “The ROOTS & ROUTES Experience 2016” (RRXP16) is a ROOTS & ROUTES Cologne e. V. project in cooperation with international partners and is being funded by the EU-Programme Erasmus+. RRXP16 kindly supported by the City of Cologne and the Börner-Foundation. 20 young artists from 7 German federal states are currently starting their career as Peer Coaches in the field of cultural youth work. The video documentary of the first part of the ROOTS & ROUTES Peer Coach Education is online now. The ROOTS & ROUTES Peer Coach Academy 2016 took place from March 25th to April 5th, 2016, at Landesmusikakademie NRW Heek-Nienborg. Young graffiti artists, musicians and dancers extended their competences in the fields of self management, group leadership and artistic skills. The participants, 16 to 30 years of age, were instructed by professionals including Jimi Renfro (formerly Marla Glen Band), Puya Bagheri (Outline e.V. ), Sabine Lindlar (choreographer) and Tatwaffe (Die Firma). The video documentary of the ROOTS & ROUTES Peer Coach Academy 2016 can be watched online. The academy phase is now followed by a practical phase, where the 20 Peer Coaches can prove themselves in workshops and courses. Schools, youth clubs, dance, music and art schools who could use young coaches are warmly invited to contact the ROOTS & ROUTES Cologne Team. For the second phase of the ROOTS & ROUTES Peer Coach education starting in April 2017, we are looking for youth work organisations from all over Germany who would be ready to send participants to the Peer Coach Academy 2017 and after that, accompany them during their practical phase. For further information see www.rrcgn.de/rrpca and info@rrcgn.de. 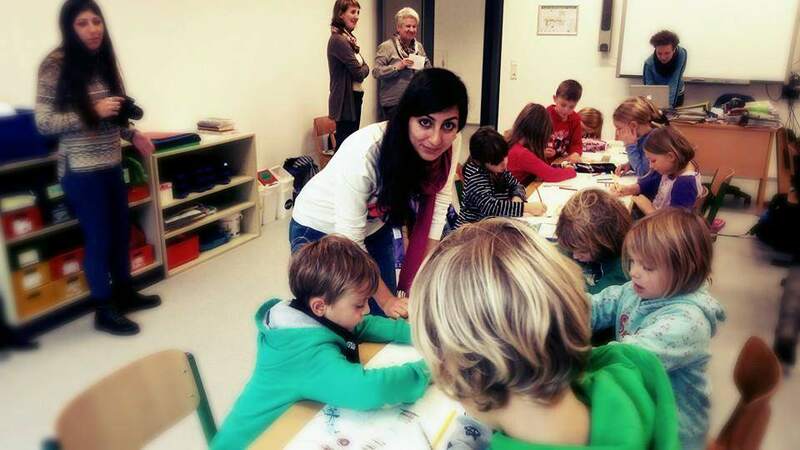 “The ROOTS & ROUTES Peer Coach Academy” is a ROOTS & ROUTES Cologne e.V. project, funded by Stiftung Deutsche Jugendmarke e. V. and by DOHLE Stiftung. The movies created at the Urban Art and Media Exchange that had their premieres in the framework of 24Hz festival as well as the timelapse films you can also find at the festival website: 24hz.de/produktion. 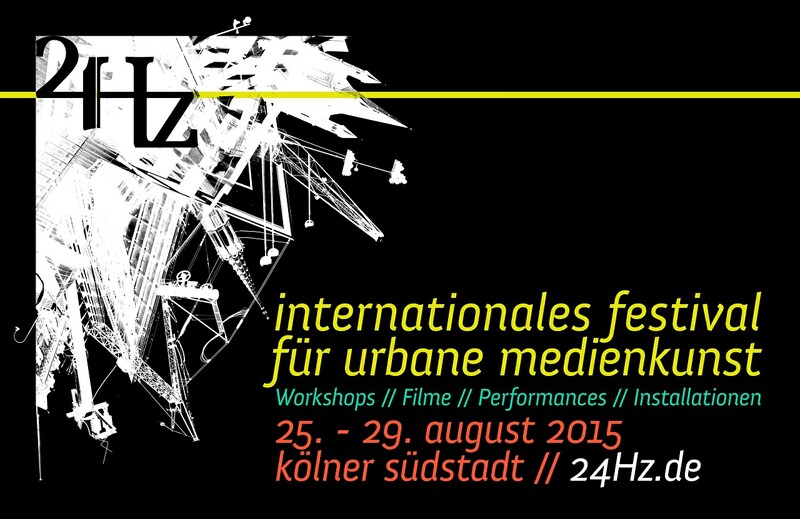 Finally online: Our festival website www.24hz.de, programmed by ROOTS & ROUTES Cologne treasurer Aileen. German language for the moment, English version will follow very soon. Preparation seminar by the EWOCA3-Workcamp programme just running in Hattingen/Germany. Here’s the Italian, Lithuanian and German group leaders for our October exchange project “I-CARE – InterCulture Against Racism in Europe”. Our advent calendar starts today: Until Dec 24th, we will present a new result from our recent project “Music and Media for an Open Europe” (‪#‎MaMOE14‬) every day at RRCGN’s Facebook page. The kick-off is made with the music video “Home”, a Serbian/Greek/French/Dutch/German co-production. Comic artist Predrag has drawn the home towns of all protagonists. Enjoy! MaMOE 2014 presentation at motoki-Kollektiv on Thursday was a blast! Thank you all for coming and thanks to our great participants and artists who survived a day-long trip from Baltrum back to Cologne after a very short night and still rocked Motoki Wohnzimmer. More photos are coming! Mahnaz Motazedi, Lu Lu O, Victoria Coronada and Lorenzo Ciacciavicca doing a "1000 and 1 realities" workshop at Inselschule Baltrum at our first project "Music and Media for an Open Europe". RRCGN'n first own project starts right NOW! We're proud, excited and very much looking forward to welcome 50+ participants from 8 countries to our project "Music and Media for an Open Europe" today. Tomorrow the whole group will start the journey to the North-sea island Baltrum where we will work on songs, videos and more for two weeks. 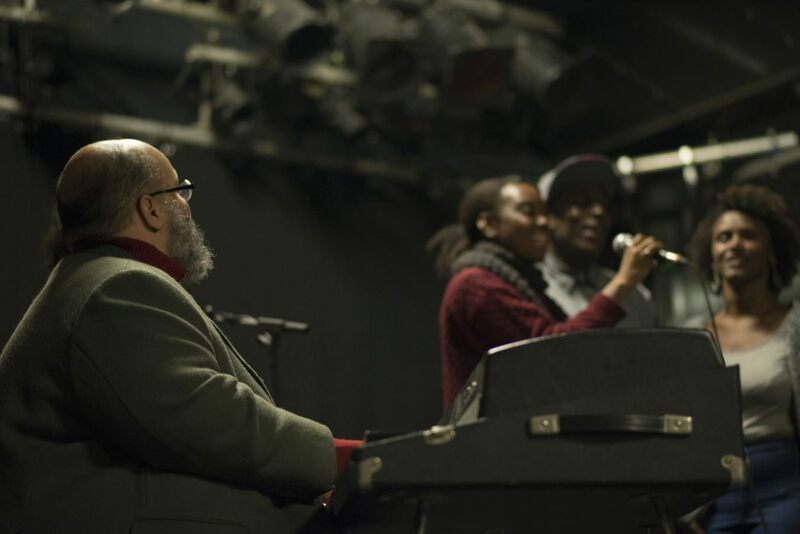 The fantastic Ed Motta kicked-off the project with a masterclass for the participants of our international exchange project. Thanks to Ed, Club Bahnhof Ehrenfeld and to Hannes Huefken and Gabriel Riquelme who helped to make this happen! Freshly relaunched: The YouTube channel of the international ROOTS & ROUTES network. Highlights from various international ROOTS & ROUTES projects will soon be added. We are very happy to announce that our very first project has been granted: "Music and Media for an Open Europe" (MaMOE), an international exchange for young musicians and media makers from Spain, Greece, the Netherlands, France, Serbia, Italy, the UK and Germany. The project will run November 5th to 21st, 2014, on the island Baltrum. 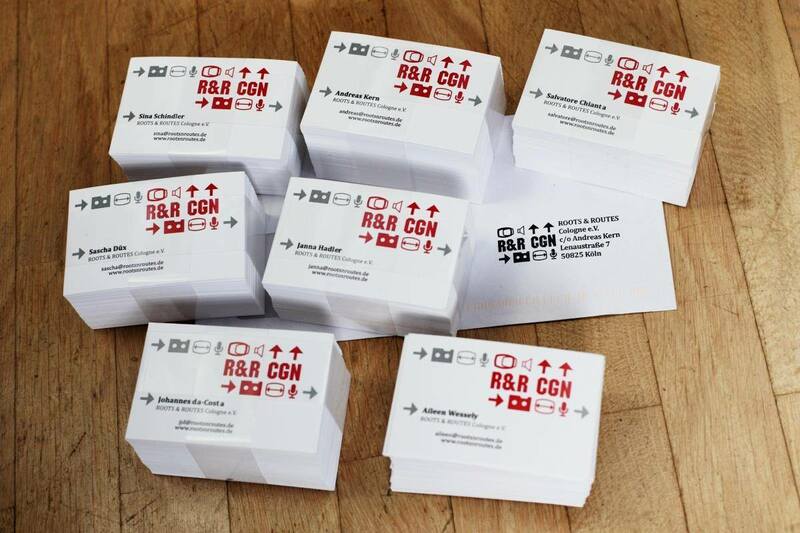 We start into the year 2014 with freshly printed business cards for the board and core team as well as an official association’s stamp! 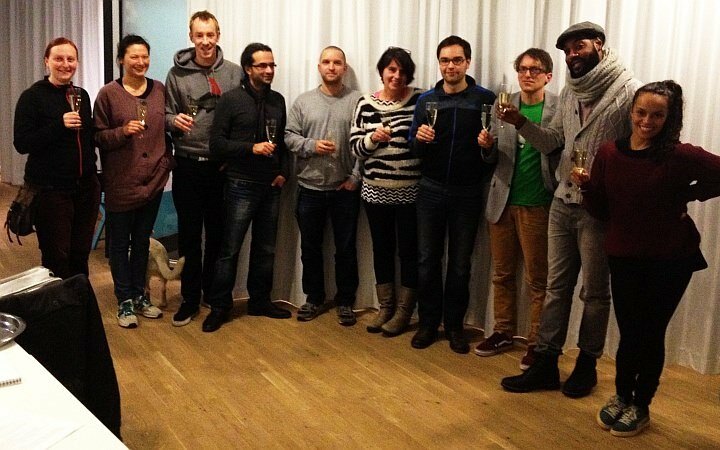 ROOTS & ROUTES Cologne association is founded! On December 4th, the ROOTS & ROUTES Cologne association (RRCGN) was founded. As a part of the international ROOTS & ROUTES network, RRCGN will promote international youth exchanges, cultural diversity and interdisciplinary artistic projects. The founding assembly elected a board for three years: Andreas Kern (president), Salvatore Chianta (vice president), Aileen Wessely (treasurer), Johannes "J-JD" da-Costa, Sina Schindler and Sascha Düx.